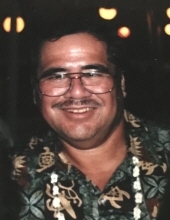 Celebrating the life of Joseph Souza Jr.
Obituary for Joseph Souza Jr.
Joseph Souza Jr. Age 64 of Kaneohe, Oahu passed away at his home on January 6, 2019. He was a Senior Project Manager with Alakai Mechanical Corporation. Joe is preceded in death by his mother, Pearl Keawe Souza. Visitation at 4:30 pm Service at 5:30 pm. Aloha Attire, No Flowers. To send flowers or a remembrance gift to the family of Joseph Souza Jr., please visit our Tribute Store. "Email Address" would like to share the life celebration of Joseph Souza Jr.. Click on the "link" to go to share a favorite memory or leave a condolence message for the family.